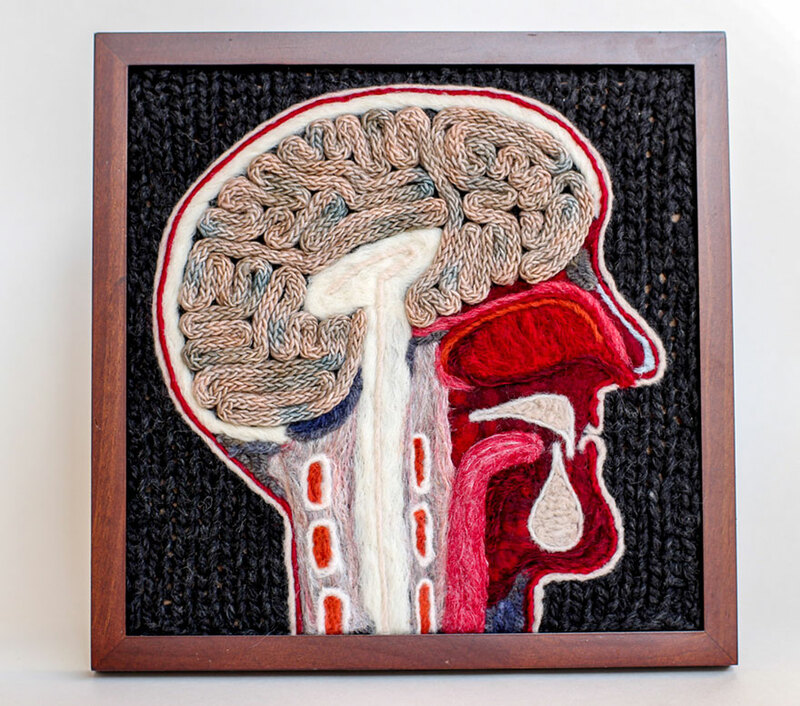 Weaving guts and wool into fantastic knitted creations, artist Emily Stoneking has made a line of (sort of) anatomically correct, partially dissected, knitted creatures. Stoneking also added that "The real deal is pretty messy and there are not a lot of distinct colors, and I want it to look more like an anatomical illustration (albeit an inaccurate one)," added Stoneking "I have begun moving toward more human based two-dimensional felted pieces, which I do aim to make very anatomically correct." 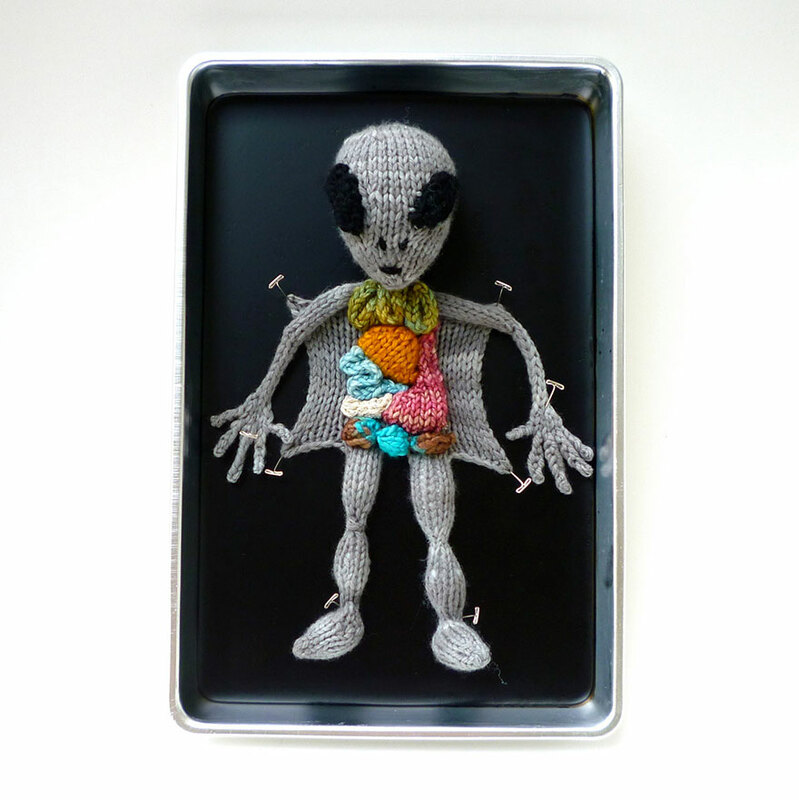 Stoneking also branches out into more unusual anatomical creations. 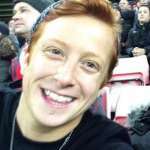 “The question I get asked most often is: ‘Are you a scientist?’ And the answer is a resounding, no! I have a historian’s brain, not a scientist’s brain, I’m afraid." 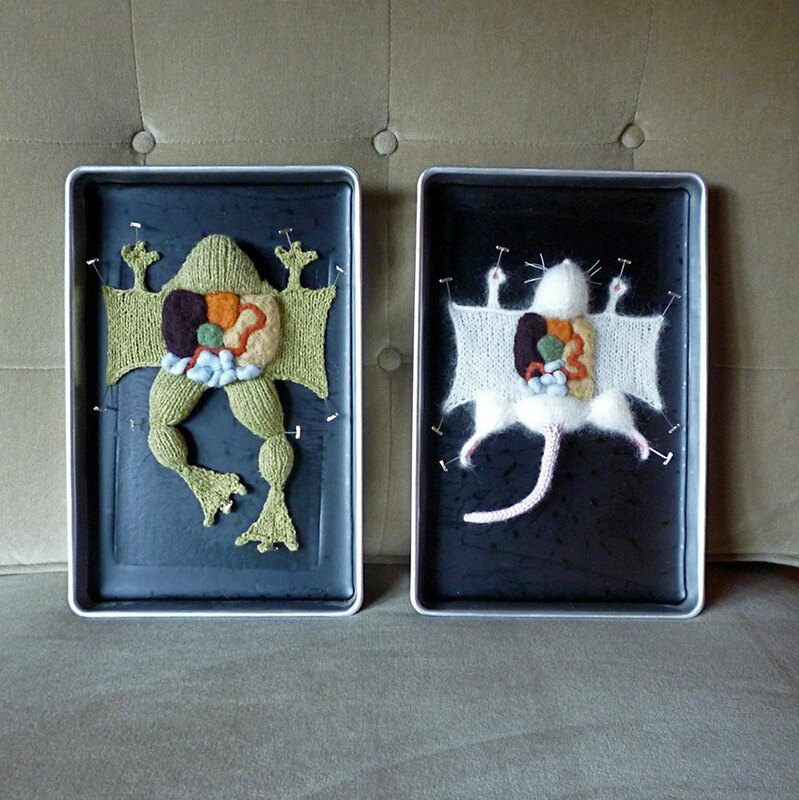 Stoneking sells her knitted animals dissections and other educational pieces on her aKNITomy Etsy shop.